Themed afternoon teas seem to be all the rage in London, don't they? Whether it's Alice in Wonderland or Aladdin, everyone's looking for that new twist on the traditional, to tempt in tourists and avoid seasoned Londoners thinking "oh no, not another one". 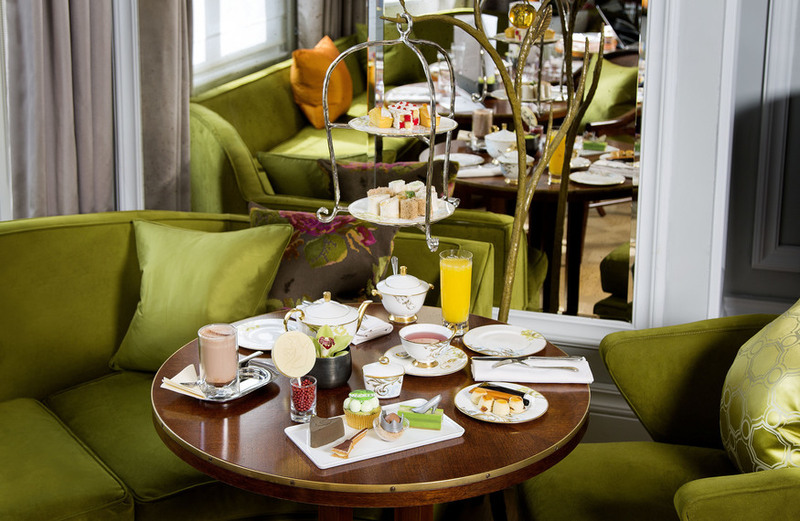 The Rosebery Lounge at the Mandarin Oriental hotel is trying to shake up the classically British treat once again by putting on a 'wickedly good' afternoon tea for fans of one of London's most famous musicals. Though to be honest, even if Wicked isn't quite your cup of tea, this mini banquet could probably still make your friends green with envy. Of course, an afternoon tea is not complete without a nice hot cup of, well, tea. They have some flavoursome classics to sip on like camomile and peppermint (suitably green), or you can go fruity with their berry infusion or apricot white tea. You could even choose a Valrhona hot chocolate or rooibos latte if that's more your style. But as we all know, the hand-made pastries are where it's truly at and will be the proof in the pudding. And this is where they've made the real effort. 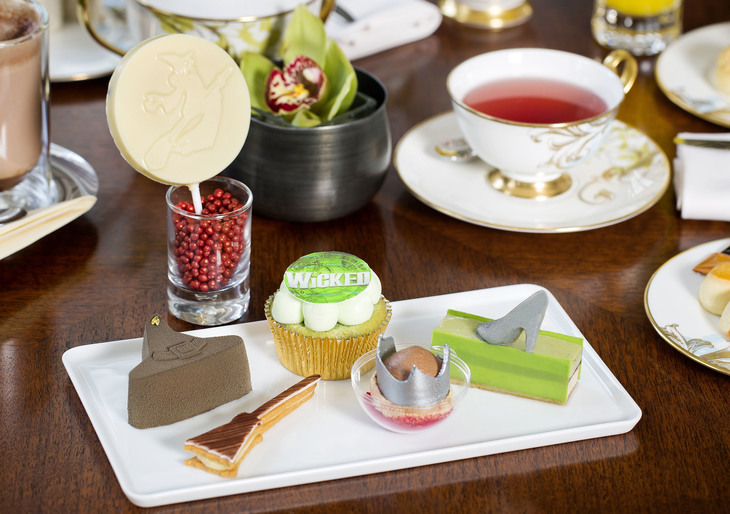 We've got our eye on Glinda's sparkly shoe on a matcha and hazelnut finger, and Elphaba's milk chocolate mousse and caramel hat. There's also the Bad Witch's vanilla broom biscuit, the Good Witch's choux, a pistachio cupcake and a chocolate lollipop. Oh, and not forgetting the scones and jams which are thankfully mini because this already sounds like quite enough calories for one meal. This afternoon tea is going cost you a pretty penny — prices for adults are £53 and children eat for £28 (so sky-high as a witch on a broomstick). As great as the potential Instagram photo may be, we'll wait on our invitation to try it before we say if it's worth the price tag or not.